This page is specially made for the guitar geeks and obsessed enthusiasts like me. Every now and then I get the chance to try cool vintage guitars or boutique instruments. As often as I can I do a video when I compare them or just check them out. A while ago I had the great opportunity to do a vintage guitar comparison between a bunch of awesome vintage guitars. I'm playing thru a 1964 Fender Super Reverb and a J.Rockett The Dude overdrive pedal. 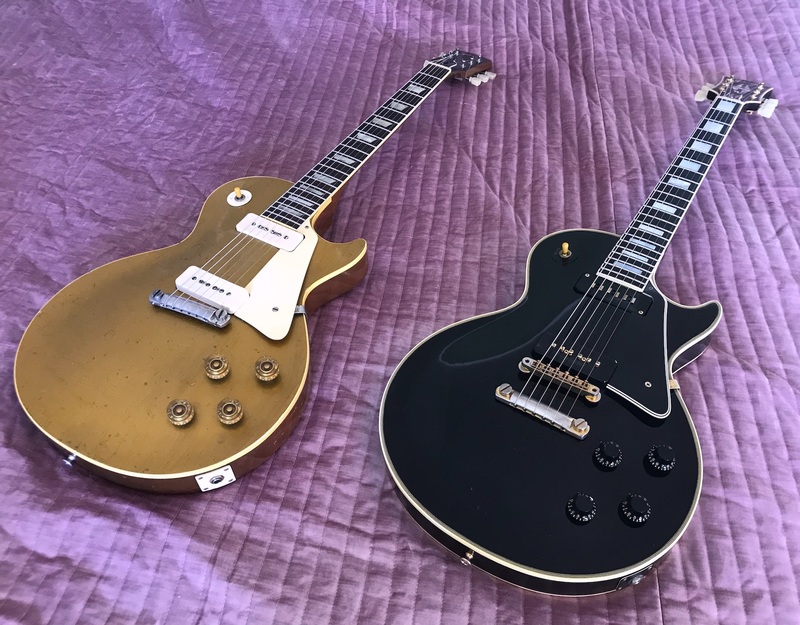 I did an A/B test between two cool guitars a while ago. A 1956 Gibson Les Paul Custom vs. a modern handbuilt boutique Sonnemo. It was pretty hard to edit this clip but here it is. Had some fun with a 1958 Fender Stratocaster today playing thru a 1964 Fender Super Reverb. So I filmed a short Funky Jam.